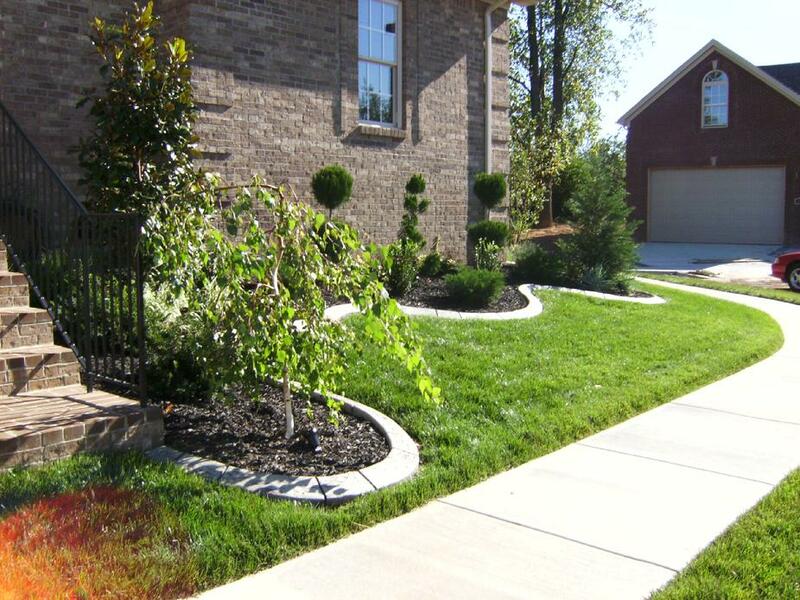 Curb Sensation's sets the bar on the national stage regarding landscape borders. 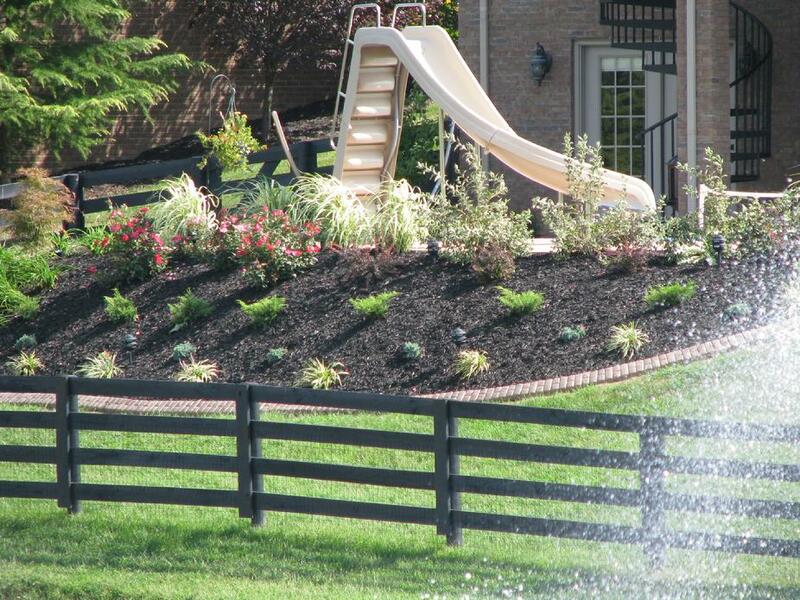 When shopping for your installer you will not find another curber in the nation, let alone Central Kentucky, that puts as much time, attention and detail in their product.
. . . and we currently only serve the Kentucky area. I have extremely high standards and oversee each and every job personally. 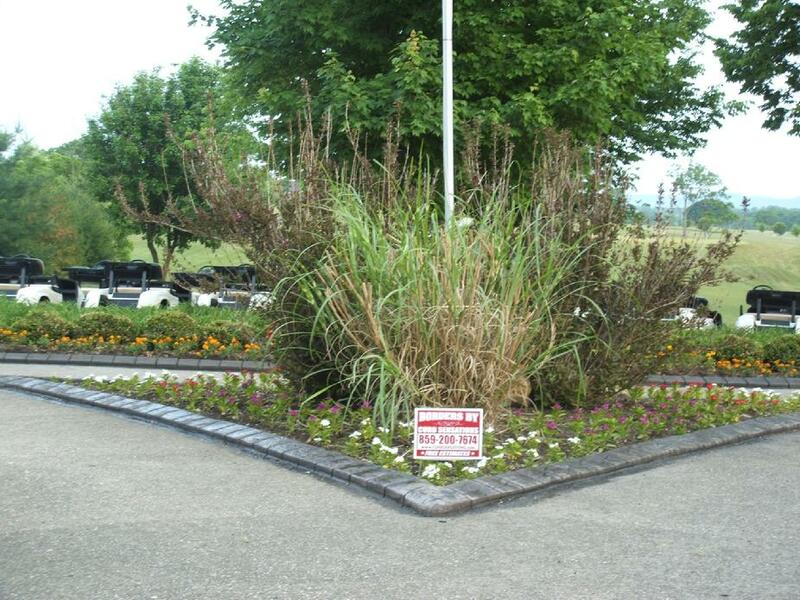 This guarantees you get the absolute best possible product in the landscape border industry. 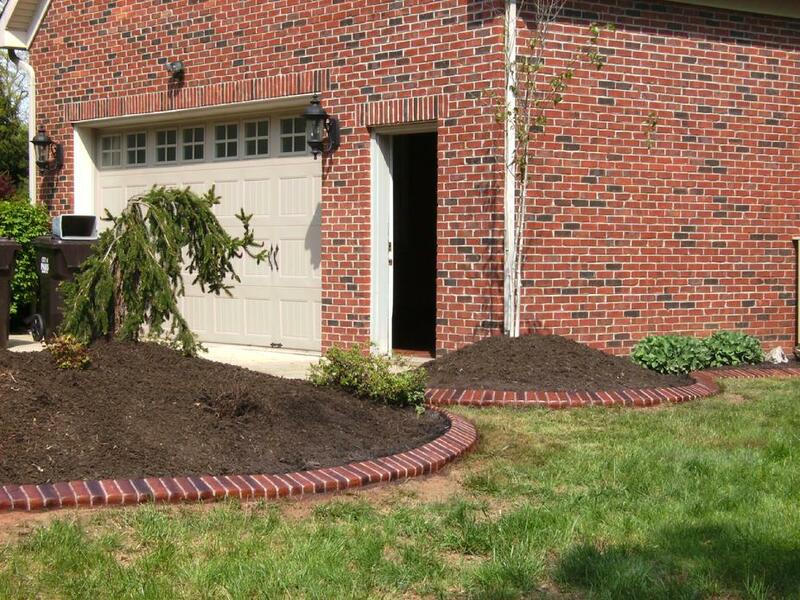 Thanks for choosing Curb Sensations! 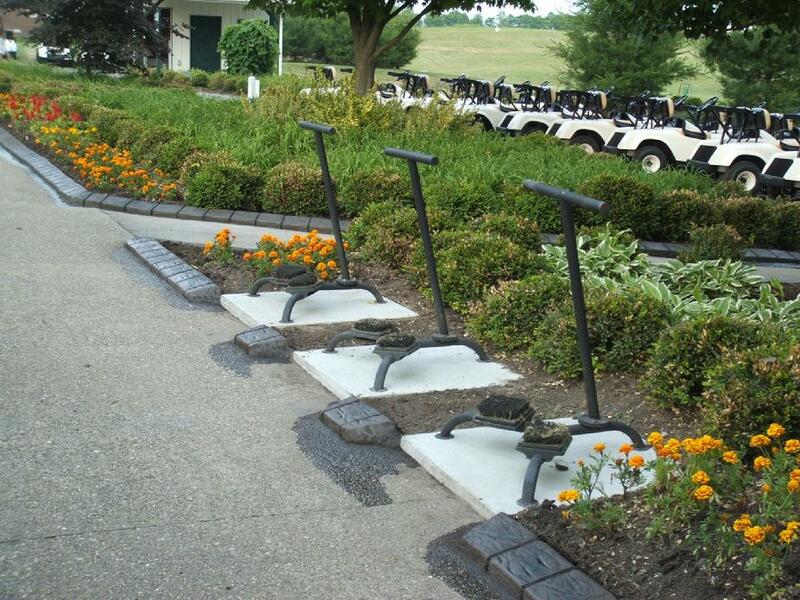 There is no comparison in Concrete Curbing! 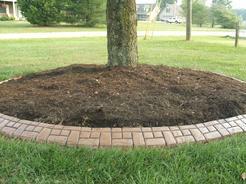 We can give your home or business spectacular curb appeal! 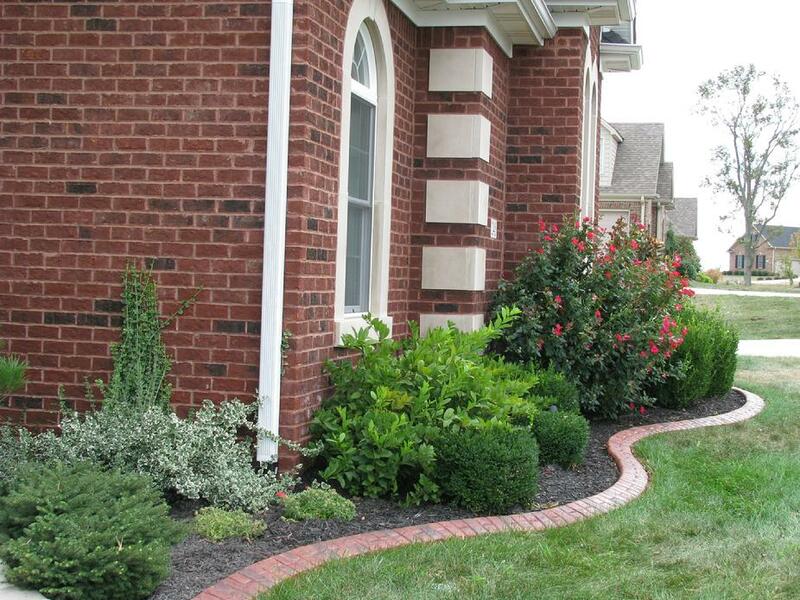 Great first impressions increase the value and sell-ability of your home! through our exclusive "State of the Art" innovative Method. 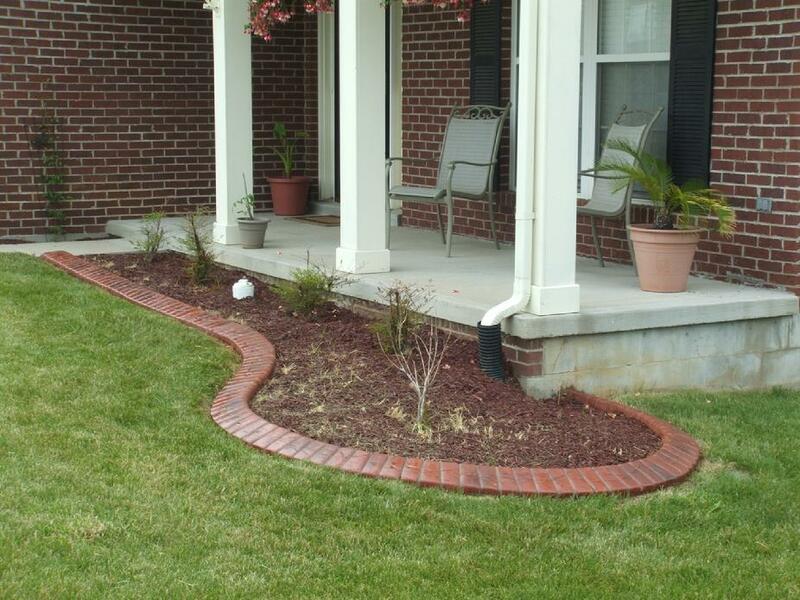 Call us today for the absolute best in continuous concrete curbing. Fill out the feedback in the field below. We value your privacy and promise your info will be kept strictly confidential. 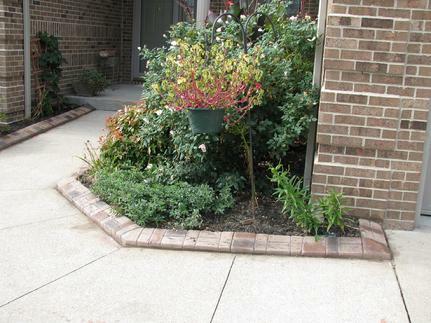 What a difference Curb Sensations has made in our landscaping! 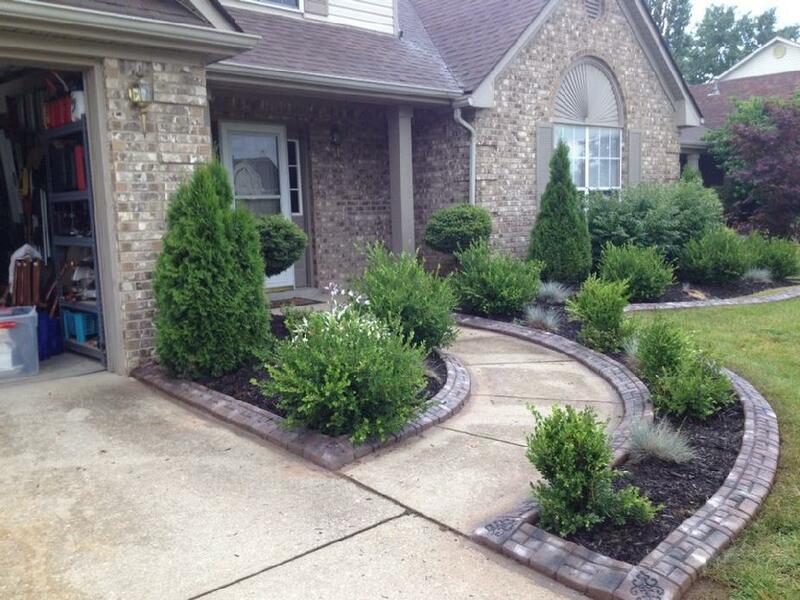 It not only looks nice and matches our brick in our current home but was part of why our former home sold in ten days. 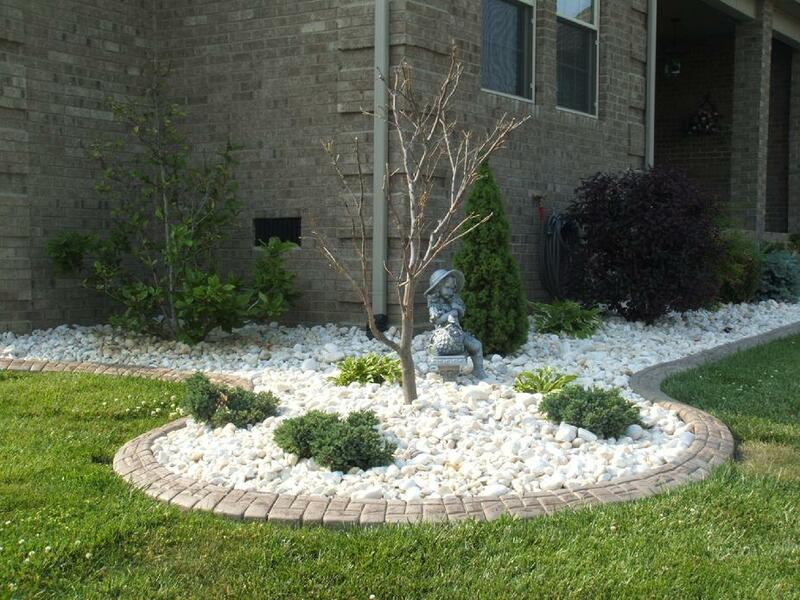 Our neighbors saw the difference it made in our landscaping that they had it installed also. 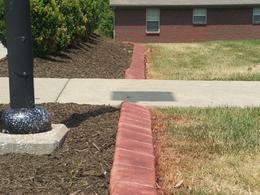 We are also pleased with the downspout pop-ups that did away with the unsightly splash blocks. (We have friends who only put in the pop-ups.) 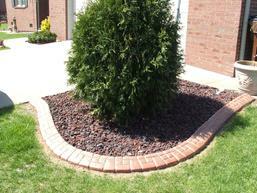 We recommend Curb Sensations to everyone who cares about their landscaping. 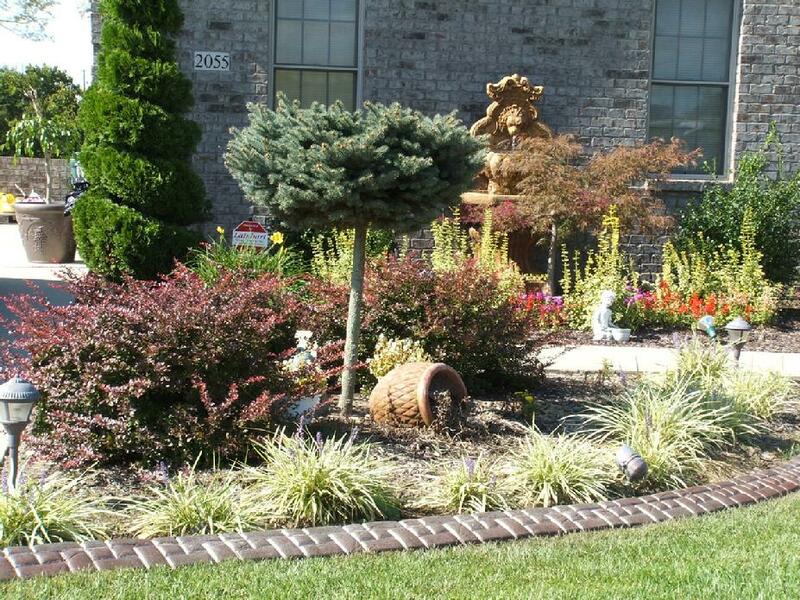 Landscaping is the first thing people see when they drive up to the front of your house. 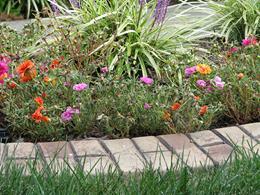 Welcome to Curb Sensations - your landscape border solution. 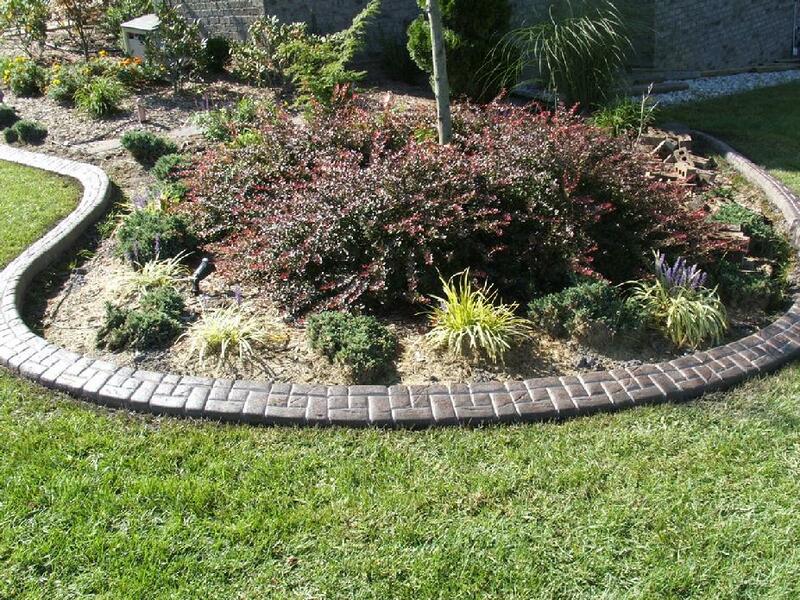 Curb Sensation's continuous concrete borders brings curb appeal and life to your lawn and garden designs. 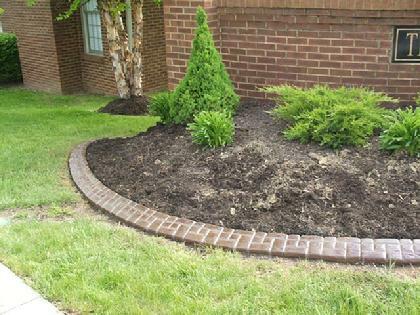 Framed in a sleek hard-scape stone or brick stamped pattern with accent blocks, your flower beds, trees, drive and walkway will pop. 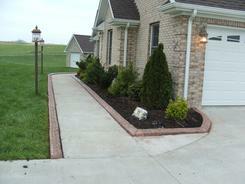 You can gain a 15 percent increase in the resale value of your home with eye popping curb appeal. 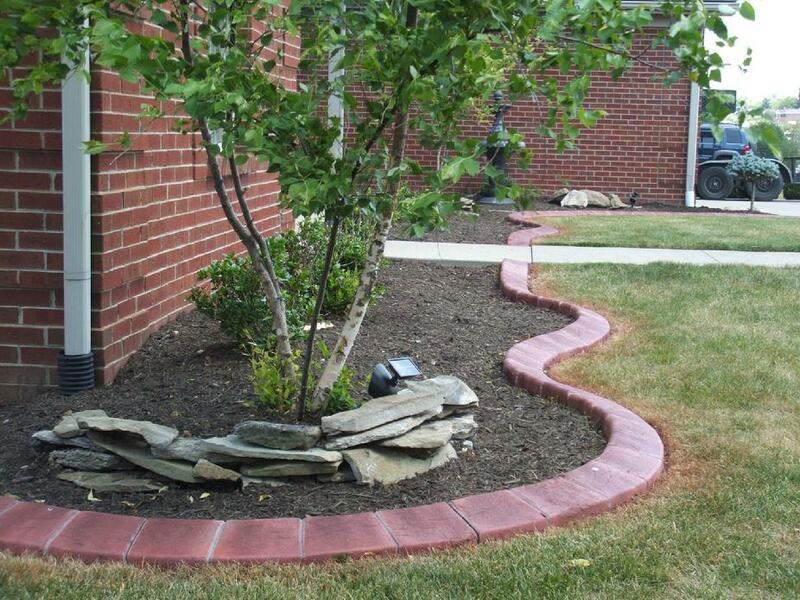 Landscaper's love our product as it is firmly anchored in place and reduces time spent edging. 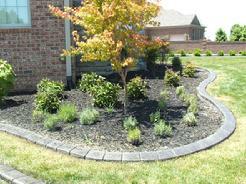 One of the greatest advantages is the separation between mulch and rock bedding and grass. 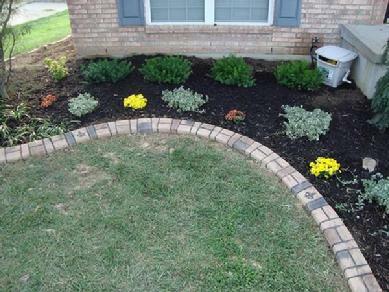 Grass stays where it is suppose to be while mulch and rock remains in the bed. 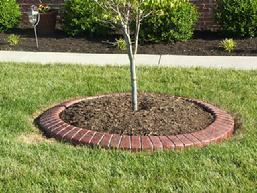 This saves the home-owner money spent replacing mulch or rock each year. 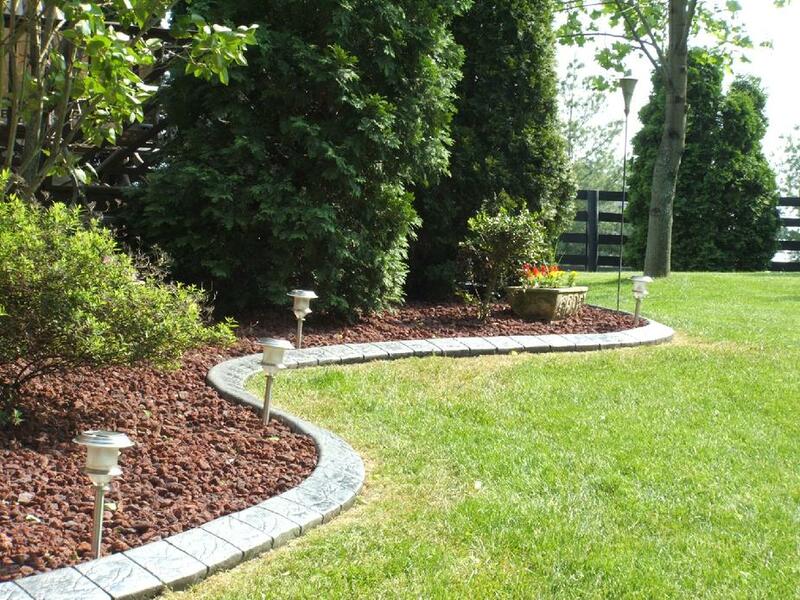 In addition to this, you will no longer be mowing away expensive rock and mulch, not to mention shooting projectiles dangerously about the yard. 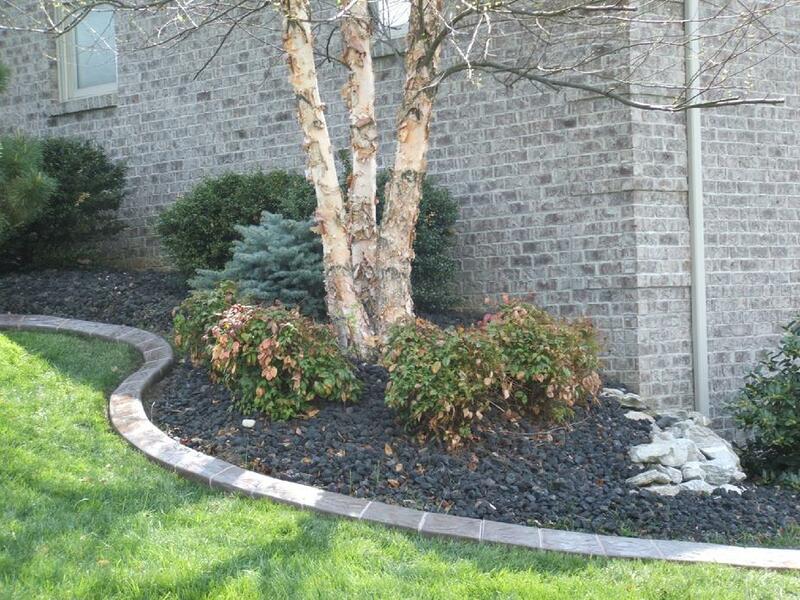 Store bought wood, plastic and stone edging present many problems. 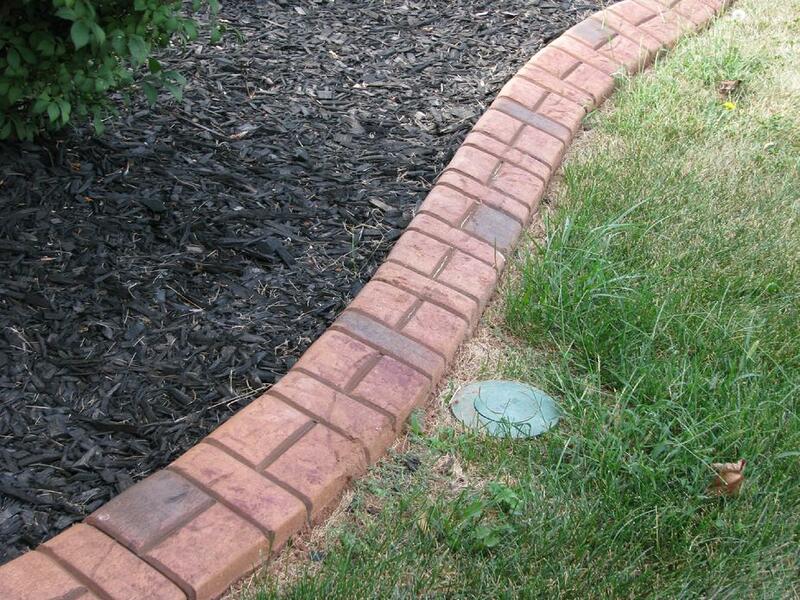 Plastic and metal edging will not maintain its shape through the heave of winter freeze and thaw cycles. 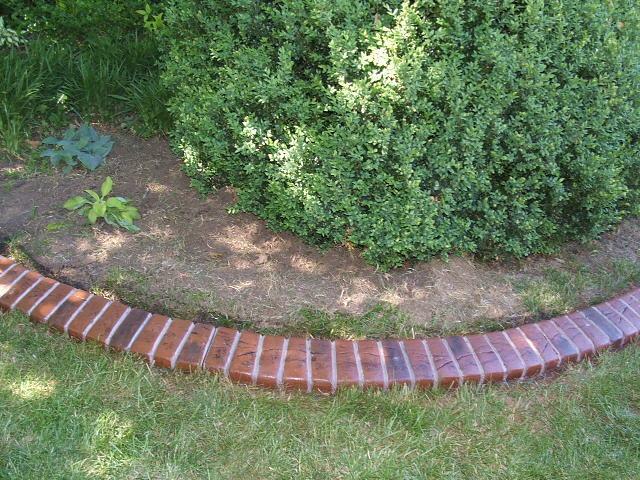 Wood edging rots in time, while individual stone bricks, blocks and rocks allow grass to grow between them; making for unsightly, difficult to manage borders. 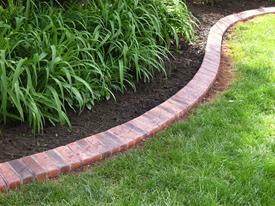 Curb Sensations extruded concrete borders are one piece from where it starts to where it ends. We have over 40 concrete colors to choose from and 42 additional antique colors allowing us to match brick, add natural grains and marbling. 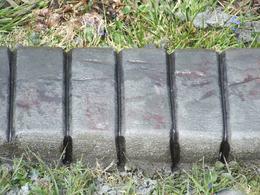 Curb Sensation's bring 24 combined years experience and we are on the cutting edge of the concrete border industry. Our one year warranty covers issues resulting from material defects and workmanship related issues. 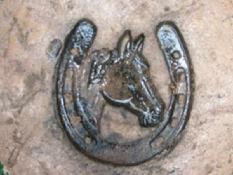 We are a family business eager to introduce you to our wonderful product. 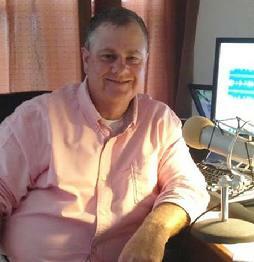 We have hundreds of clients all over Central Kentucky. 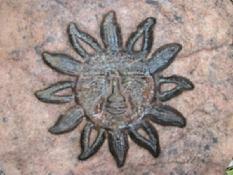 Thank you for stopping by our website. 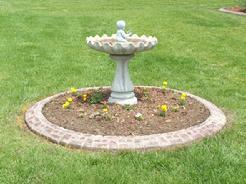 Give us a call and we will set up a time for an estimate. Now is the time! Today is the Day! Get ahead of the Spring rush. Colleges, Businesses and Home Owners let us do your family crest or logo-embellished landscape border. Banks, Hotels, Restaurants, Realty Companies and so much more can have our exclusive signature series borders. 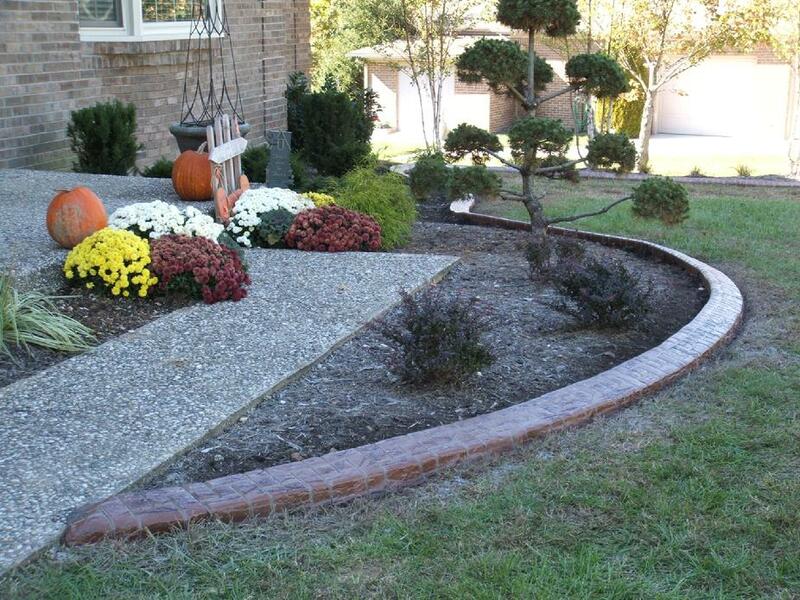 Call us today for the very best in continuous concrete borders by Curb Sensations! Please be assured your information will not be shared with any person, company or entity other than Curb Sensations. 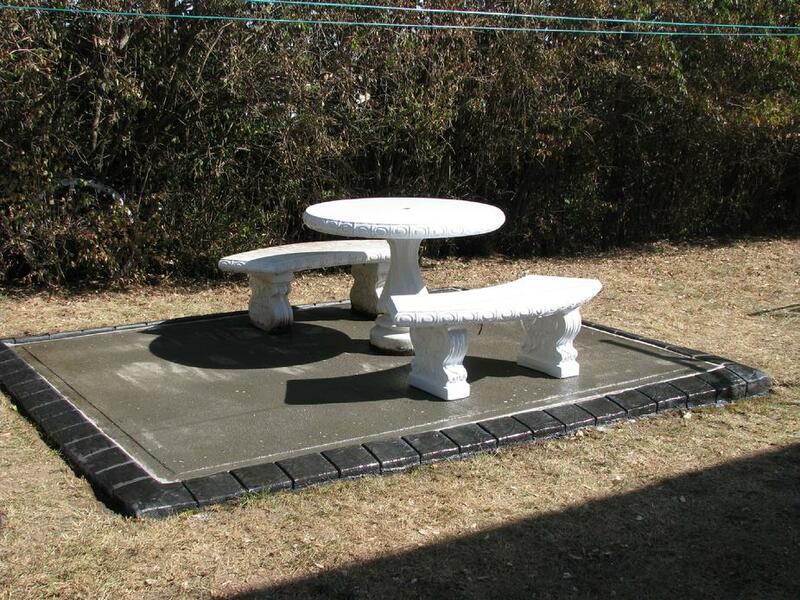 Curb Sensations will only use your info to set up your requested estimate. We value your trust! We install borders summer, spring, fall, and winter. 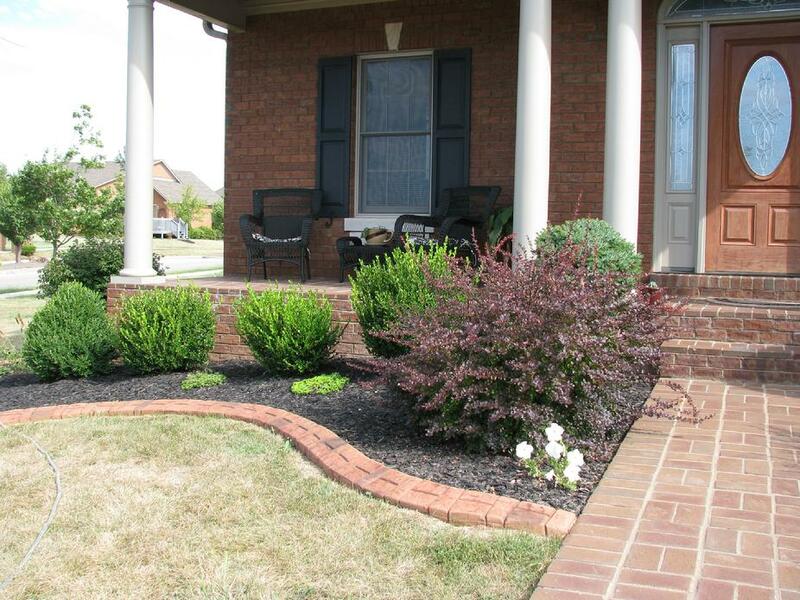 SIT BACK AND RELAX WHILE WE BRING YOUR LANDSCAPING TO LIFE! 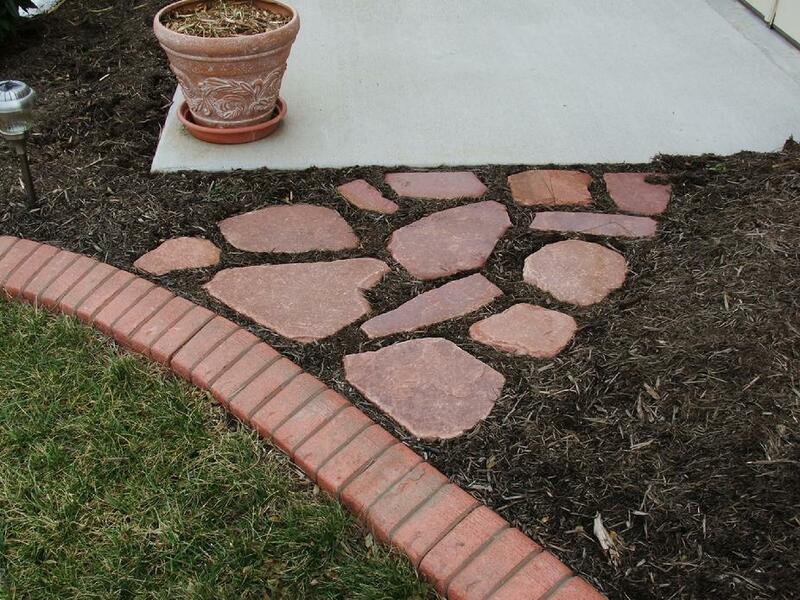 CUSTOMIZING A UNIQUE BORDER FOR EVERY HOME OR BUSINESS! INCLUDING LEXINGTON, RICHMOND, BEREA, WINCHESTER, VERSAILLES, NICHOLASVILLE, GEORGETOWN, PARIS, FRANKFORT, ,CRAB ORCHARD PAINTLICK, LANCASTER, IRVINE, DANVILLE AND MANY OTHERS. 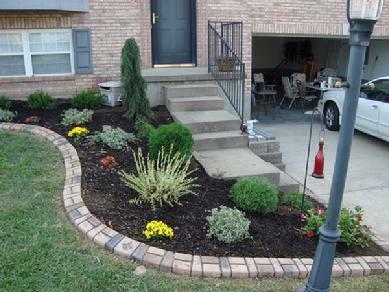 While landscaping enhances the look of any home, an elegant landscape Border can give your home an "edge of distinction". 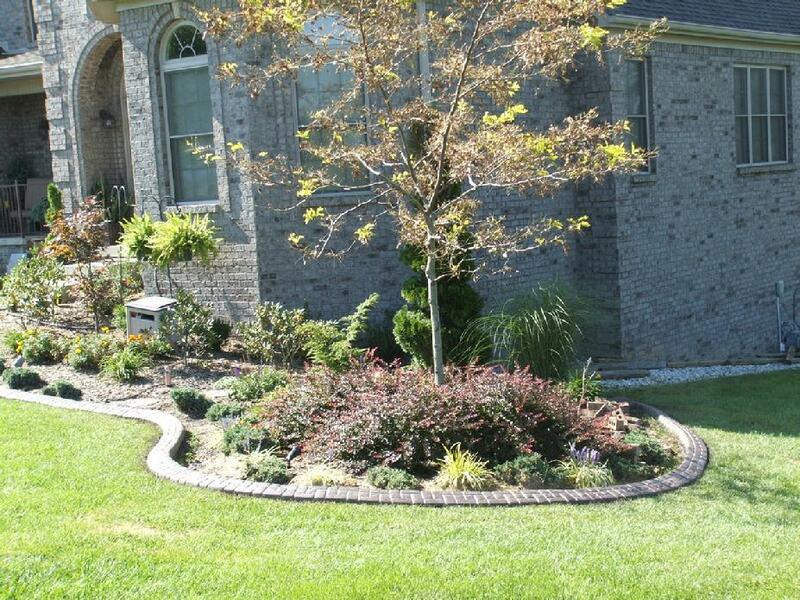 Curb Sensations is Central Kentucky's premier installer of continuous concrete landscape borders. 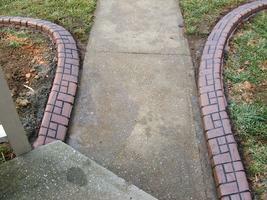 Using the latest mixing techniques, Curb Sensation's borders give the appearance of fine masonry. 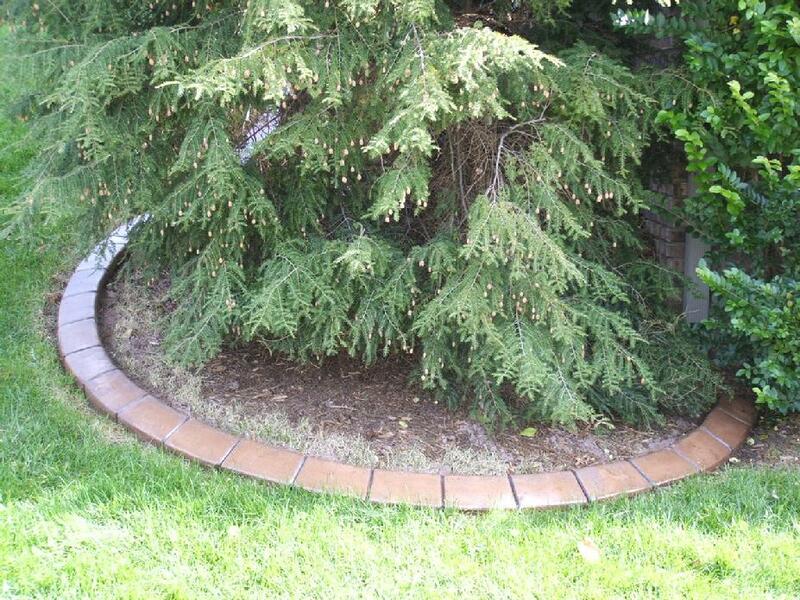 Our borders can be fashioned to follow the contour of your land, and can even be cast in circular or serpentine patterns. 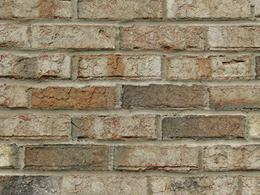 Since coloring is mixed into the concrete, colors can be coordinated with their surroundings and matched to the brick in your home. 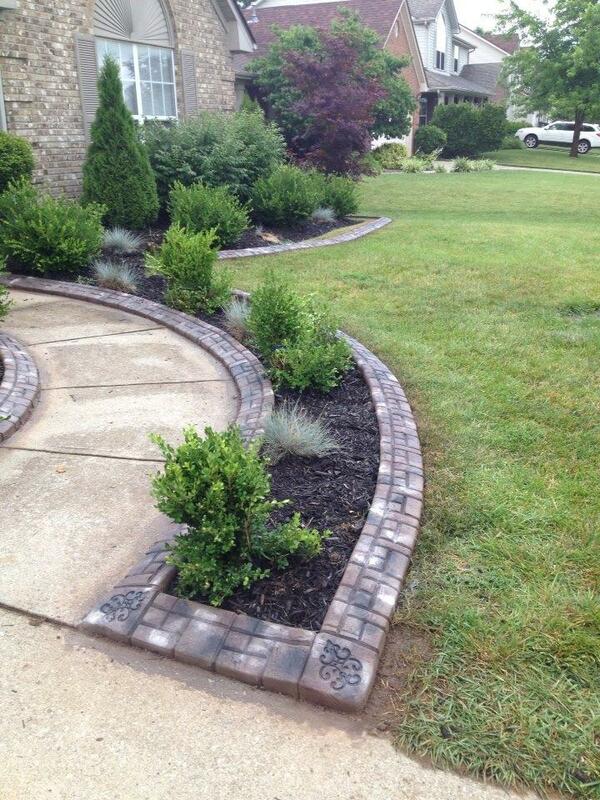 Natural stone and brick patterns are stamped into the surface before the concrete sets, and finishing glaze enhances both the appearance and the durability of our borders. 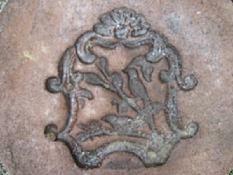 A A wide variety of colors and patterns are available. Most installations can be completed in one day and pricing starts at $6.00 per linear foot. 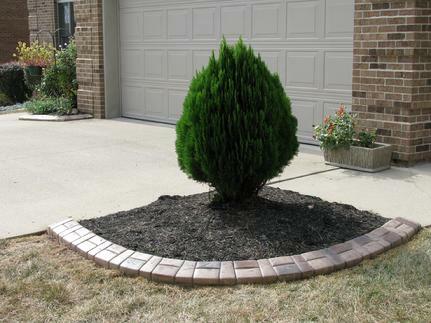 Landscape features such as Continuous Concrete Borders can add as much as fifteen percent to the resale value of a home. In a competitive real estate market, our borders provide a cost effective edge over comparable homes. 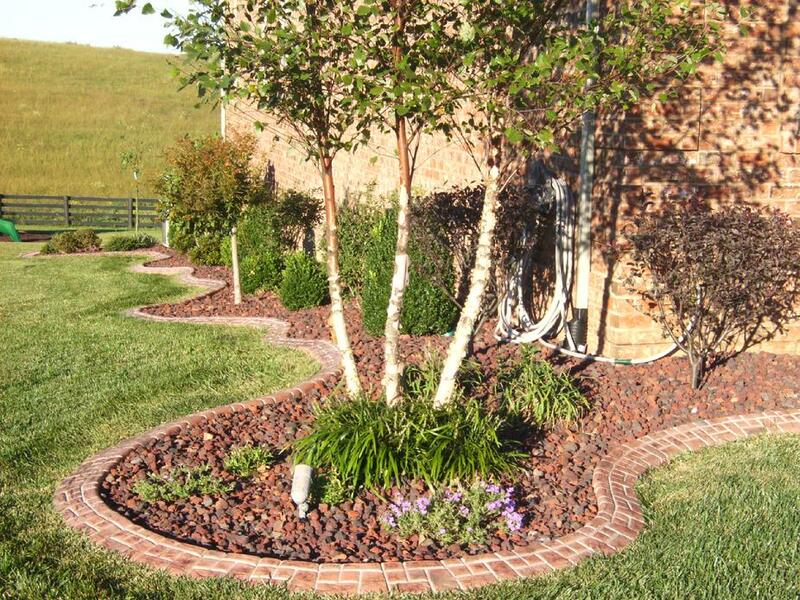 OF PERFECTION TO YOUR LANDSCAPE! © Curb Sensations 2007 All Rights Reserved. Copying of any content on this website is explicitly prohibited.